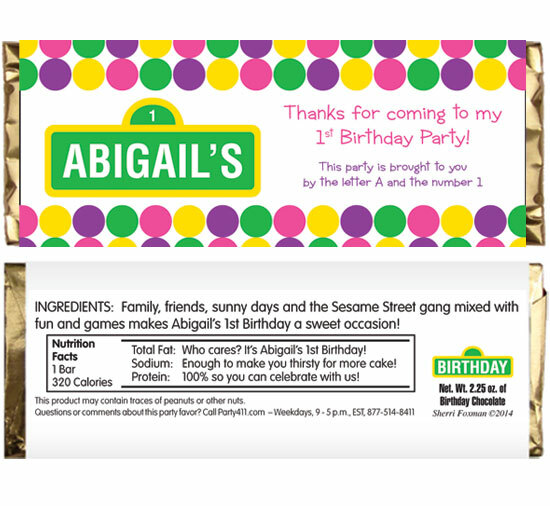 A personalized candy bar wrapper can be used as a party favor, a seating card, or an invitation. A sweet way to celebrate a special occasion! Bigger and tastier. Our 2.25 oz. candy bar has 50% more chocolate than the standard Hershey® bar. And they are delicious! 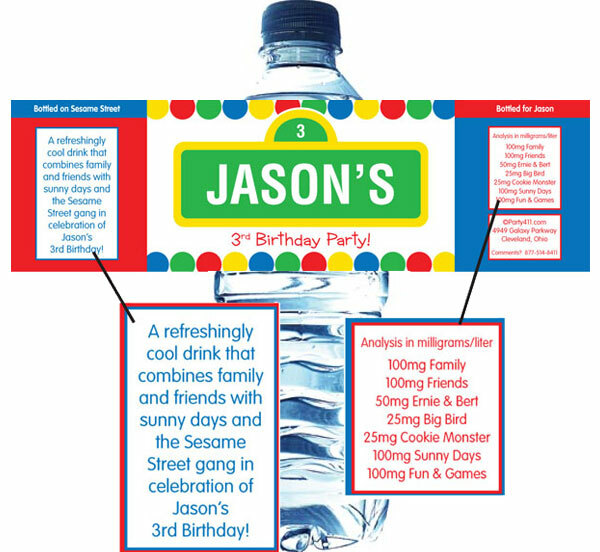 All labels include personalized ingredients and nutrition facts. Most candy companies only let you change the name. If you elect to wrap the bars yourself select wrappers only, you will receive wrappers that fit over a standard Hershey's bar with the foil edges of the Hershey's wrapper coming out of the sides of your personalized wrapper. Wording for the front of your candy bar wrapper. Wording for the back of your candy bar wrapper. Party Girl, use exactly what I've written above. Party Girl, please rewrite what I've written above. Hot Weather Shipping Terms: If you are adding candy bars to your order, to prevent the bars from melting, we highly recommend ice packs and expedited shipping for candy being shipped between April and September or to locations with temperatures over 70 degrees. 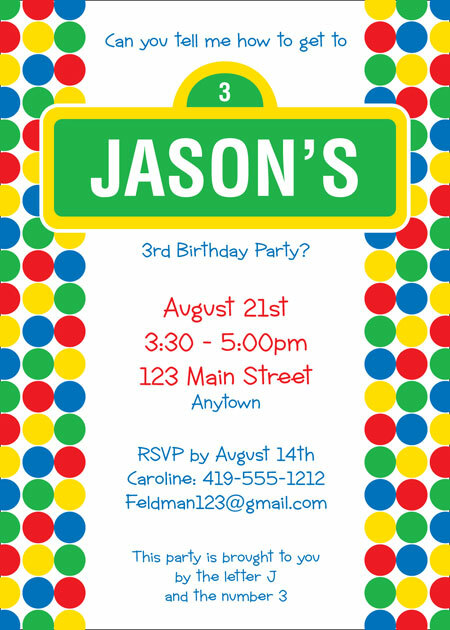 Party411 will not be responsible for melted candy orders shipped other than 2nd day air or overnight with an ice pack. Please choose the number of bars in your order. 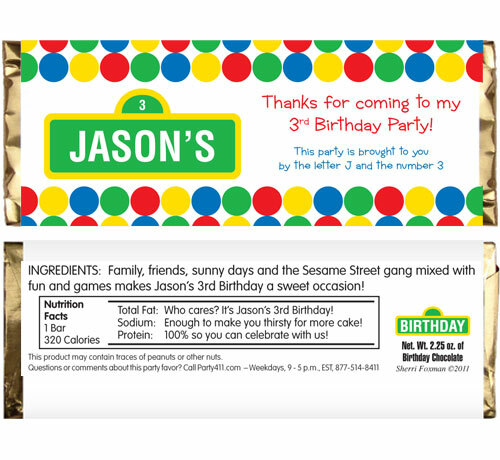 Minimum order is 30 wrappers or wrapped bars. You will receive a proof by e-mail within 2 business days. 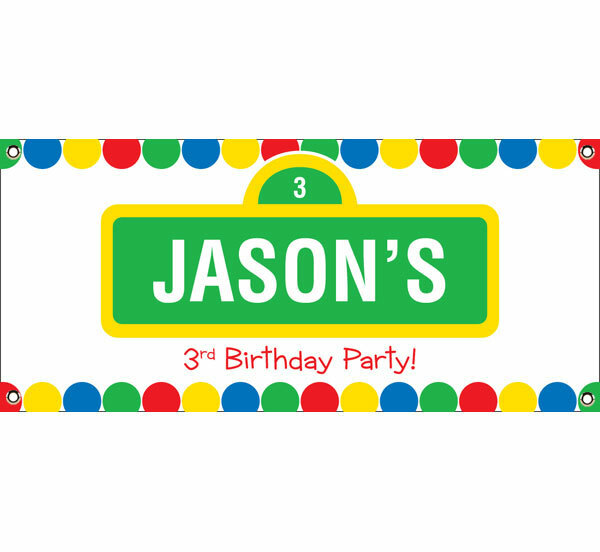 Birthday Sesame Street Theme Water Bottle Label Your guests will be thirsty during your Sesame Street party Birthday Sesame Street Invitation A fun Sesame Street inspired invitation.